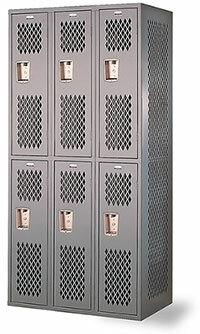 These Athletic Lockers - Double Tier are available on www.buyusedlockers.com where they have a huge selection to choose from if we need additional supplies. Available IN STOCK for "Quick Ship" from numerous locations around the nation, saving you time and money! 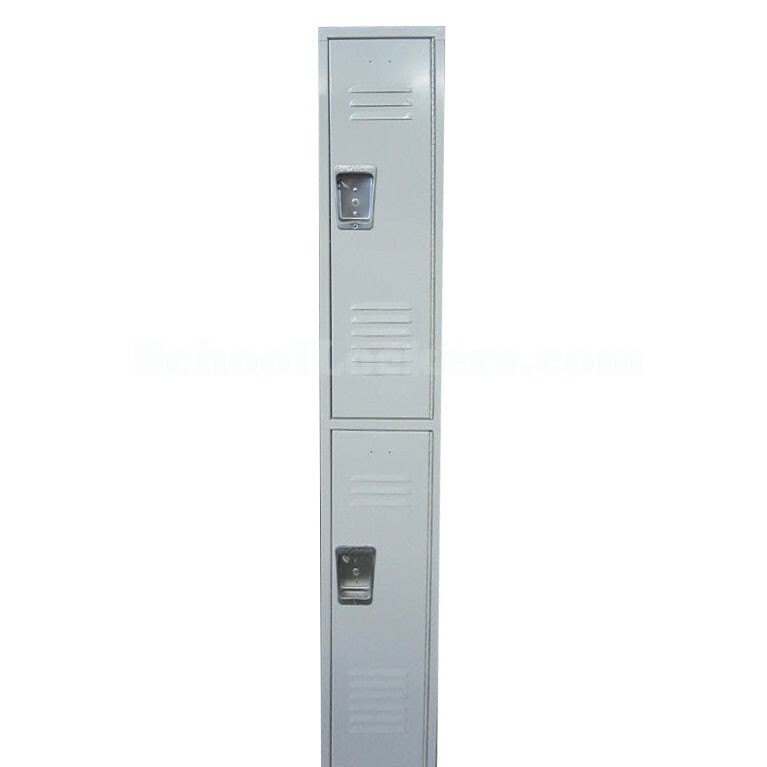 Our heavy duty athletic lockers are the ultimate in durability and ventilation with 14 gauge diamond perforated doors, 16 gauge diamond perforated sides, and solid 16 gauge bodies. As strong as we've made them, they can withstand years of use from even Pro Football players! We manufacture them with perforated doors and sides using heavy duty steel making them 25% stronger than our premier series lockers! Premium powder coating and paint process that not only looks nice but also provides resistance from corrosion, scratches, stains, etc. Any time you need superior, abuse resistant, ventilated and long lasting storage units, these are your answer! These are ideal in athletic oriented facilities such as gyms, fitness centers, schools, and more because of their superior ventilation. Even aromatic clothing and items can be stored and the concern of amplifying the smells is eliminated! Also available in unlimited sizes and up to 30 color choices as special order.